As we’ve discussed previously on ABC Radio, forward-looking companies such as Google, Apple and Facebook are are aiming for 100 percent renewable energy. They’re locating data centres that store the information we access online (such as YouTube videos) near renewable energy generators. In 2009, Google created 500 construction jobs and 80 permanent position when it repurposed a decommissioned paper mill in Hamina, Finland into a server farm. The installation is powered by a nearby wind farm and uses arctic seawater to cool the servers. Google’s Hamina data centre in Finland is equipped with an on-site wind turbine. The site perfectly suited for a data centre powered by the wind and cooled by the waters of the Tamar River. Last week, Tasmanian Climate Change Minister Cassy O’Connor launched a plan for the state to source 100 percent of its electricity demand from renewable energy by 2020. The Tasmanian government’s plan for 100 percent renewable by 2020 is consistent with the aims of leading new economy firms Google and Apple. Putting Tasmania on the map for these new economy giants would be a welcome side benefit of the renewables plan. It’s leadership like this that Victorians deserve. 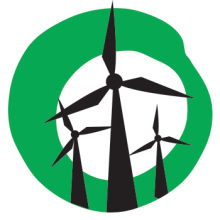 With the state gearing up for an election in 2014, politicians of all stripes will have a chance to show leadership on renewable energy and present a plan for attracting high-tech investment to our state. ABC Hobart’s Penny Terry interview Leigh Ewbank of the Yes 2 Renewables campaign. June 25, 2013.